Promise Adelaide present The 60 Four running as part of Adelaide Fringe Festival at eight different locations around South Australia. Playing from February 22nd 2019 until March 30th 2019 at 7-7:30pm. After a successful second at The 2017 Adelaide Fringe, the boys are back. The 60 Four is a four-piece Adelaide based group is fast becoming one of South Australia's most popular vocal groups. This 60's tribute act features members Lachlan Williams, Kyle Hall and Jack Conroy and it is led and directed by Ben Francis. The boys began performing 60's songs at school together at Scotch College and people fell in love with their show and they have continued to become more popular as the years go on. 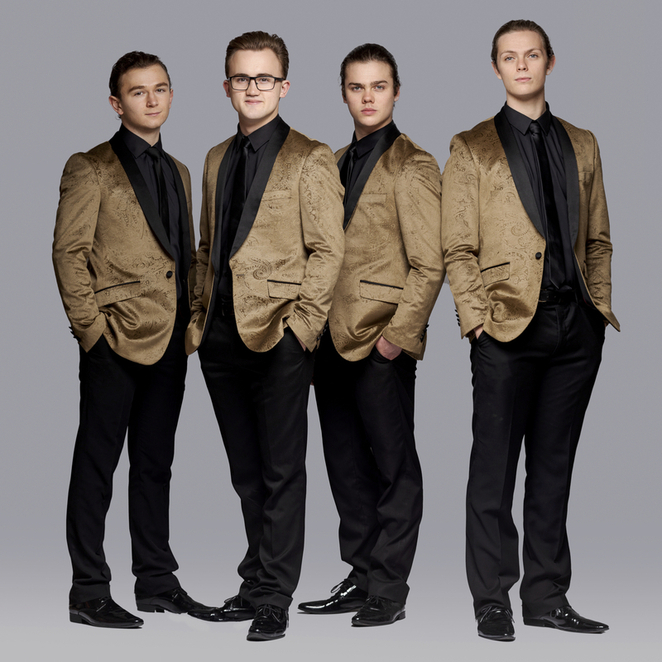 The group are led and directed by Ben Francis who, along with Lachlan Williams, Kyle Hall and Jack Conroy, began performing 60s songs when at school together at Scotch College. These boys present a harmony that is easy listening while dressed up fine in suits with dance moves to match. They enjoy songs from Johnny O'Keefe, Frankie Valli & The Four Seasons, The Beatles, The Beach Boys, Simon & Garfunkel, The Monkees and many more. They are known for performing songs Walk Like a Man, Big Girls Don't Cry and Who Loves You by Frankie Valli and The Four Seasons remarkably. This is a fabulous show for any age that will have you clapping along and singing in your seat. Don't miss your chance to see The 60 Four at one of their eight shows at this years Adelaide Fringe. Tickets are on sale now at https://adelaidefringe.com.au. Tickets purchased online can be collected from The FringeTIX Box Office, Self-Collect locations, or posted out for a small fee.